When New Year's Eve rolls around, you'll probably have quite a few resolutions prepared for the new year. If you're like the average American, goals like losing weight, becoming more active and kicking bad habits probably top the list. But what about your home? The end of the old year is the perfect time to start thinking about how you can protect your home in the upcoming year. So as December draws to a close, start thinking about changes you can make to be a more responsible homeowner. To get started, consider these five New Year's resolutions for your home that should be a priority on your list. 1. Perform visual inspections regularly. One of the most important things that you can do to protect your home is to perform regular visual inspections. Oftentimes the effects of leaking pipes and other problems can be minimized if they're caught early. But if you don't inspect your home regularly, you probably won't notice that anything is wrong until it creates a major problem. Visually inspect your home from basement to attic for signs of leaks, rodent activity and other issues. 2. Clean and replace your filters. Filters serve an important purpose in your major appliances and systems. They keep small particles from being sucked into the machines where they could interfere with the mechanisms. But in the process, they can quickly become clogged with dust, pet hair and small objects that accumulate over time, causing your machines to run less efficiently, or even stop altogether. To prevent problems, it's important to clean out the filters in your dryer and other appliances regularly. You should also replace the filter in your heating and cooling system approximately every three months. This will improve your energy efficiency, which is an easy way to save on electricity. 3. Find time for seasonal maintenance. While it might be difficult to find time to perform maintenance every week or month, at least performing seasonal maintenance will go a long way in keeping your systems and appliances in working condition. Each season brings different tasks that you should perform around your house and yard. For example, the U.S. National Center for Healthy Housing reported that the spring is a good time to check the roof for leaks, clean your air conditioner's coils and test your smoke alarms. In the fall, the source suggested checking the hot water heater for leaks, draining outdoor hoses and faucets and checking the attic vents. In the summer, Lowe's recommended taking time to clean all of your kitchen appliances. Deep-cleaning your kitchen is an important safety precaution that you should perform regularly. 4. Deep clean your kitchen. A messy kitchen isn't just an eyesore – it can also be a safety hazard. While you can probably get away with leaving your dirty dishes in the sink overnight, a mess on or around your stovetop or oven can be dangerous. When oil or crumbs accumulate in your oven or on your burners, you increase your risk of starting a fire. 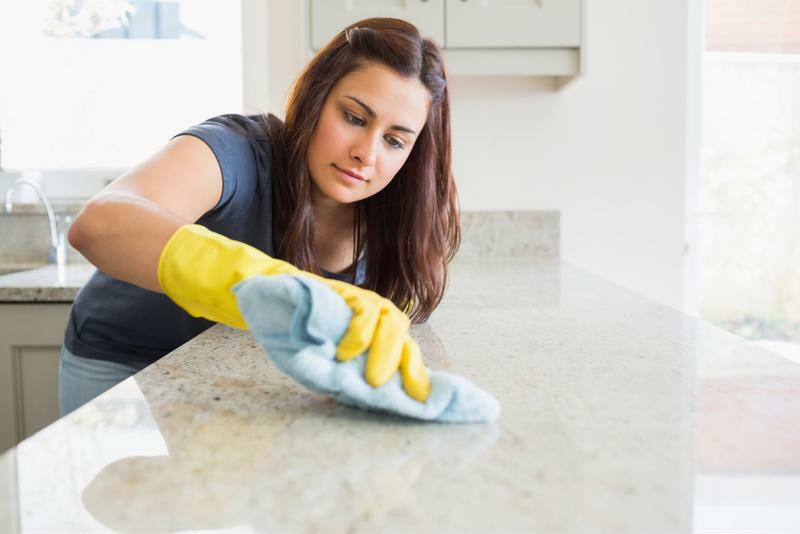 Clean these areas regularly to protect your kitchen. And don't forget to put away ingredients, cookbooks or other flammable items when you're finished using them. Loose papers or other objects can easily catch fire if they're too close to an open flame or hot object. 5. Invest in a TotalProtect home warranty plan. Your list of New Year's resolutions for your home isn't complete without a home warranty plan from TotalProtect. While maintenance can help prolong the life of your major systems and appliances, the normal wear and tear of use will eventually catch up with your home. When you invest in a warranty plan from TotalProtect, a pre-screened technician will be sent out to address any problems that may arise and the repair or replacement will be taken care of after just a small deductible on your part. A warranty plan will take the stress and expense out of caring for your home systems and appliances in 2016, starting your year off right.